The TV zone is for most the best spot to relax and unwind especially after a long hectic day at work, or just an off weekend for Netflix and chill. 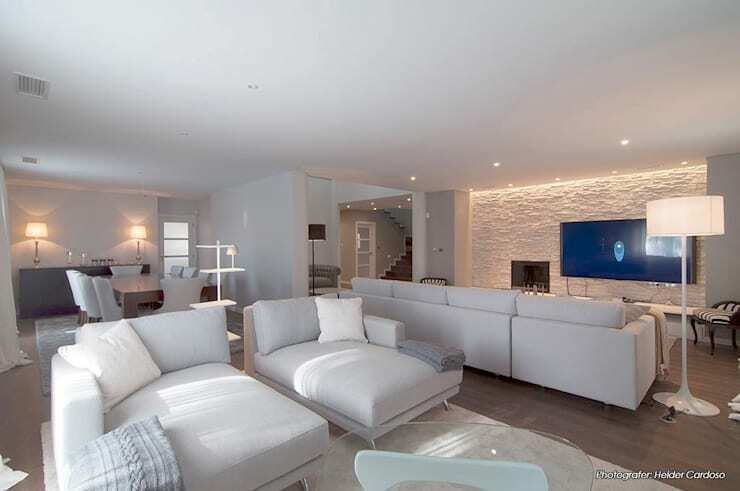 In this homify feature, we look at 20 spectacular placement ideas for your TV. 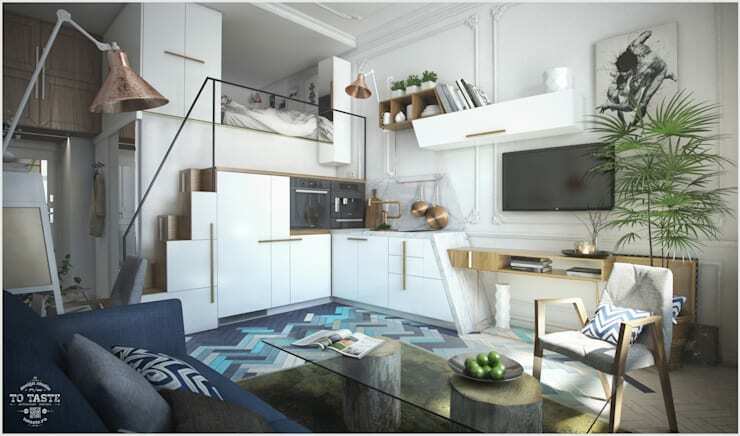 It’s fun, creative and quirky and what’s even better is that you get to impress your guests with a fascinating high tech home. Interested? Well, start thinking about the ideal place for your TV and be inspired. Often, sloping roofs are not used to their full potential. 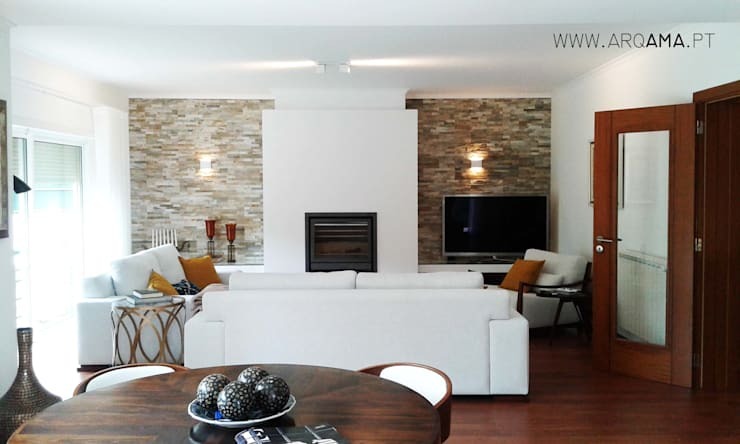 This living room is chic, with an exposed brick accent wall that is incredibly beautiful and cosy. 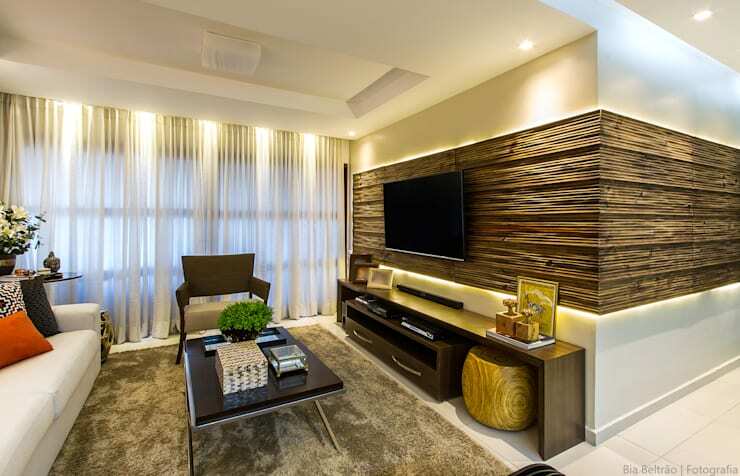 The accent wall where the TV is placed has a different texture to the other walls for a creative contrast. 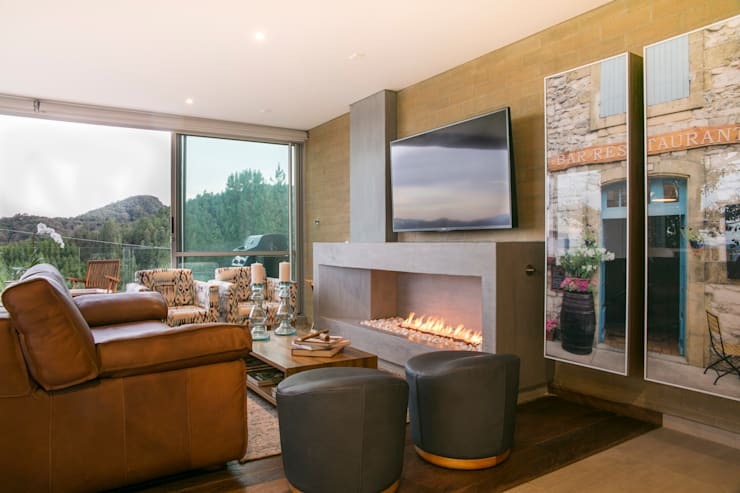 Less is more when it comes to minimalist décor, so opt for a blank wall and allow the TV to be the work of art. Light colour furniture is charming too. 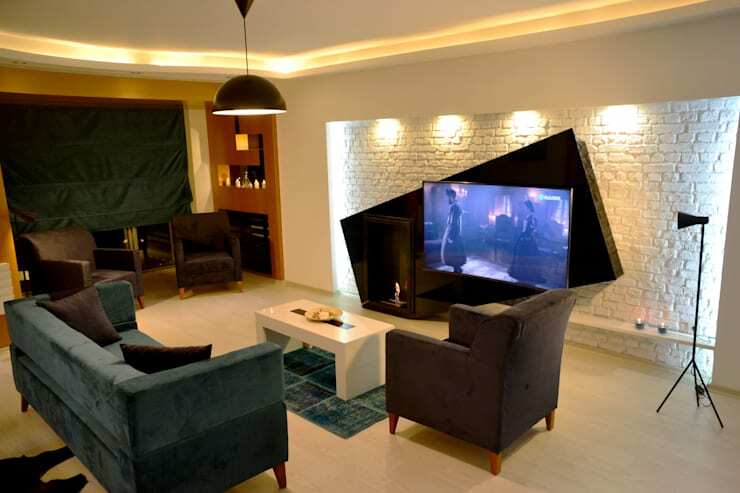 It’s quirky and eclectic, the perfect way to show off your brilliant TV in breakthrough style. Note: Professionals advise that indirect lighting should decorate the room, limiting any glare on the screen. Comfort is a major factor to relaxation, so go on and add a cosy sofa with a few colourful cushions to cuddle in style. 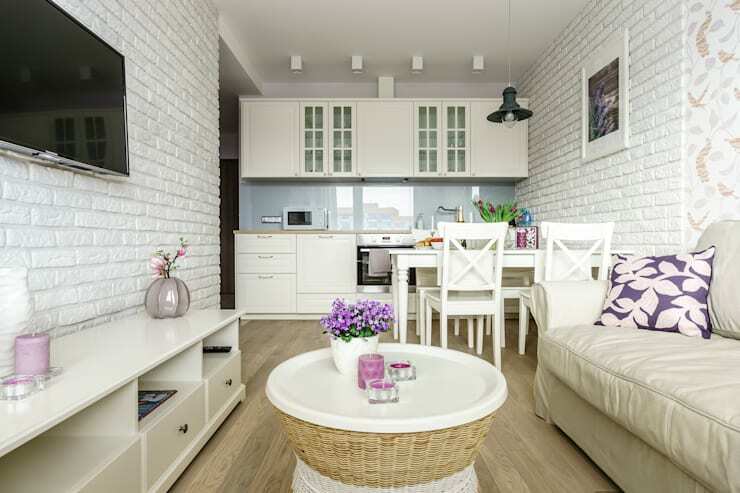 A completely white décor is brilliant and modern, while the textured wall behind the TV is absolutely attractive too. 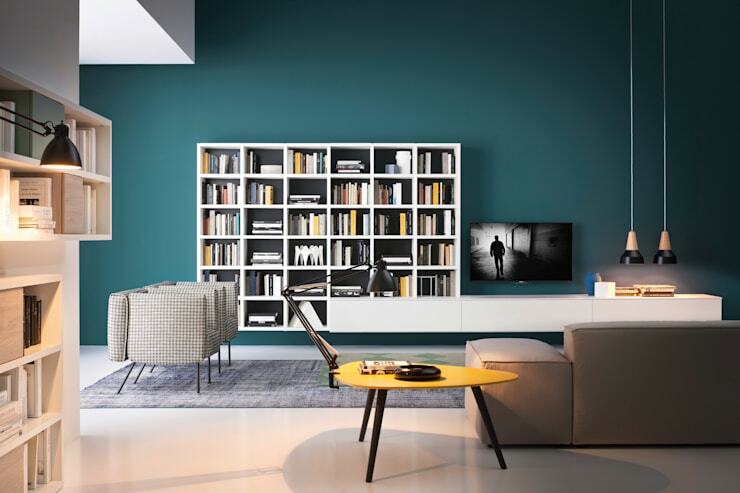 Opt for a combination of colours, finishes and styles to create an original TV zone. How about an ever evolving view of the landscape to make your TV area fantastic! 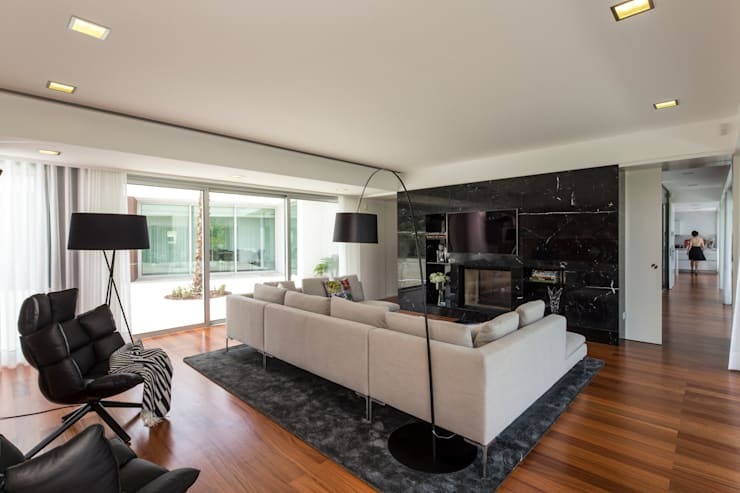 For those who adore the luxurious and opulent, there’s always a black marble wall. This is great for your TV and fireplace… the best of both worlds. 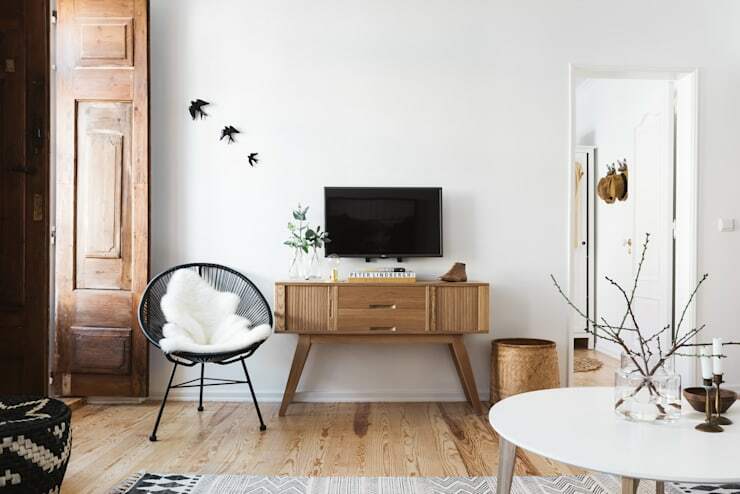 Minimalist décor is also rather beautiful, especially when paired with simple vintage furniture and accompanied by delightful décor. A natural stone wall will fascinate any guest that visits your rustic inspired home. 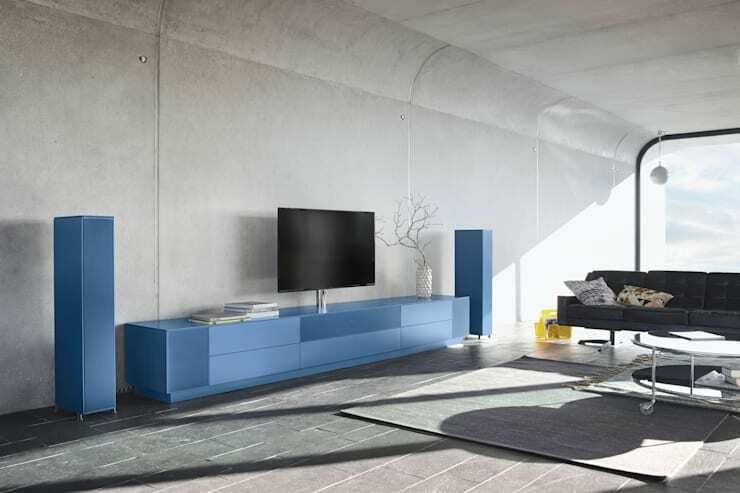 Use other furniture instead of a TV stand, such as an unused table or even an old sideboard. 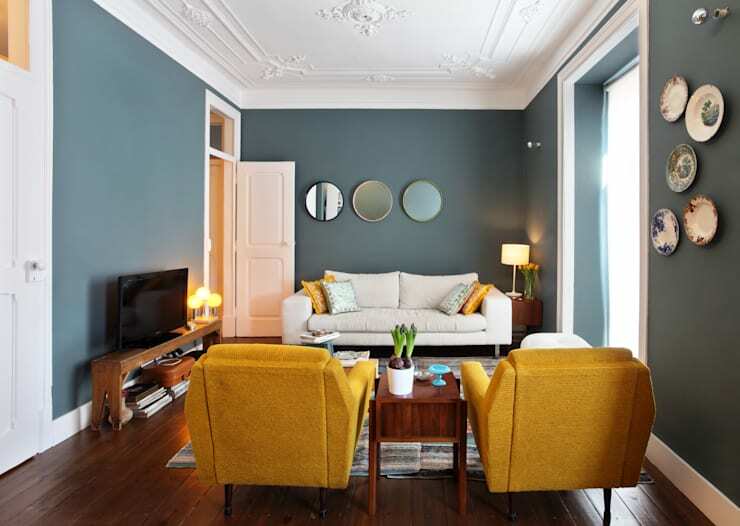 You don’t need to include only neutral colours, a vibrant shade of teal or turquoise could be better suited to your personality. 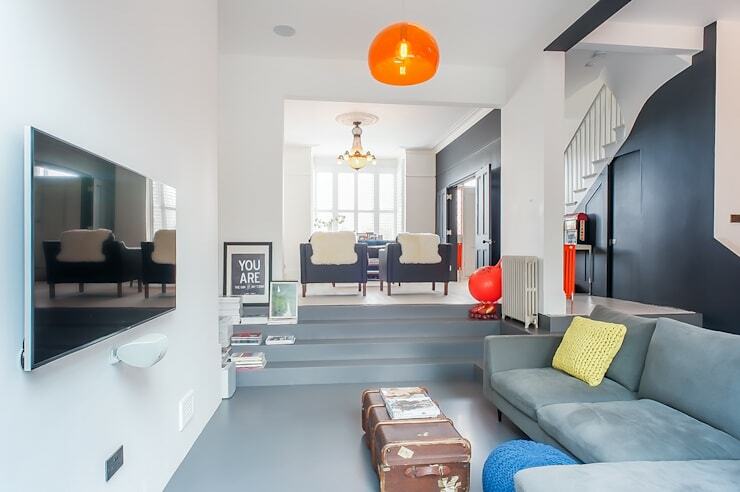 If you aren’t sure what you like, then speak to an interior designer for ideas. Use your TV for more than just vegging out after work, how about discovering more about the world, history and nature by hooking it up to your internet connection. 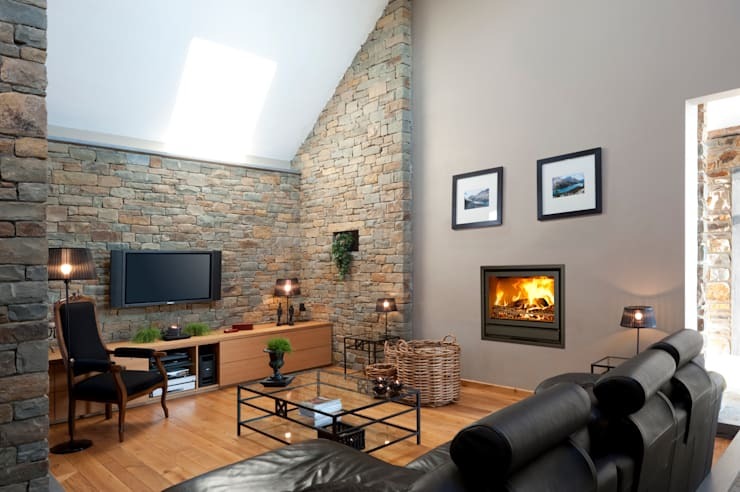 Enjoy your living room on a cold winter night with a fireplace and TV, you’ll never feel the bitter temperatures again. It is important to match the size of your TV to the space in the room. A huge television in a tiny space may look overwhelming, while a tiny TV in a large room is unattractive too. 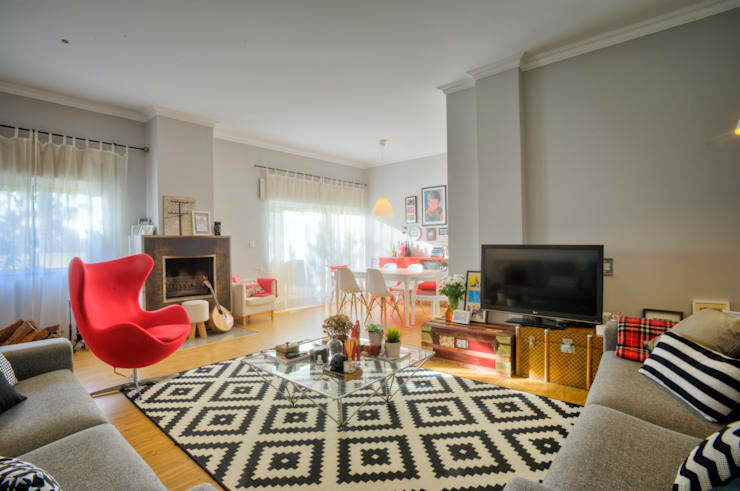 Furniture with wheels allows us to adjust the position of the TV from one side of the room to the other, this is great if you have more than one sofa, allowing everyone to view the screen. 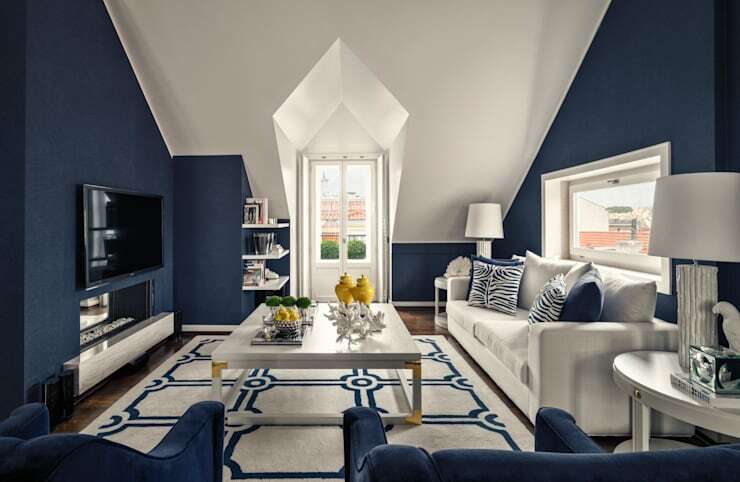 This blue and white décor may be contrasting, but it’s elegant too. Suspend the TV from the wall, but remember that a quality bracket will ensure it remains securely anchored. 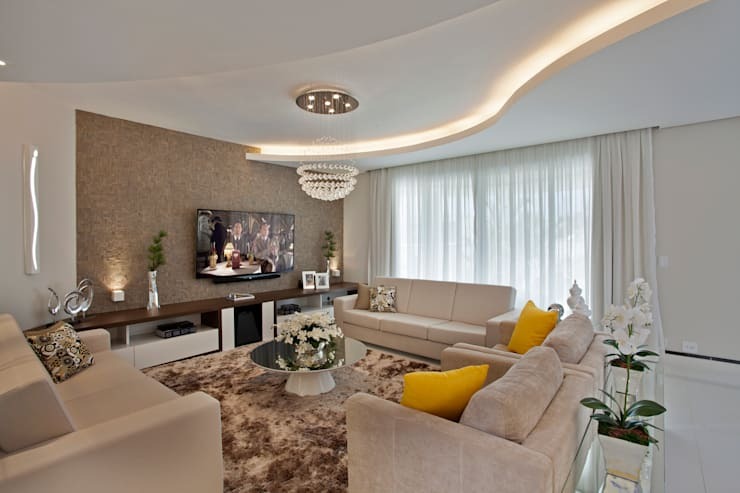 Have you thought about TV decor ideas?